Regional property is booming, and it’s easy to see why. The reality of capital city prices means that many buyers, especially first time buyers, are forced to compromise on their dreams. By contrast, regional prices are showing strong growth across almost every part of the country. If you buy now, there’s a good chance you’ll benefit from capital growth and improved infrastructure funding over the coming years. Not to mention all that fresh country air! To get you started, here are four amazing regional properties worth a second look. Whether you want an equestrian paradise, self-sufficient country farmhouse or luxury coastal escape, we have just the thing for you. Set just 16 kilometres from the sea, this five acre spread in sought after Alberton West is an opportunity to live in style. The architecturally designed four bedroom house presents beautifully, with polished timber floors and 180 degree views. The kitchen offers gleaming black granite benchtops and seamlessly integrated Bosch appliances. There’s an open plan living and dining area, a seperate family room and a study as well as four spacious bedrooms with built-in-robes. The master bedroom enjoys a large en suite bathroom. Step out to a sun-soaked patio and take dinner al fresco. Immaculate lawns and flower beds offer a pretty spot for garden parties, yielding to the acreage beyond. This is one for the horse lovers! 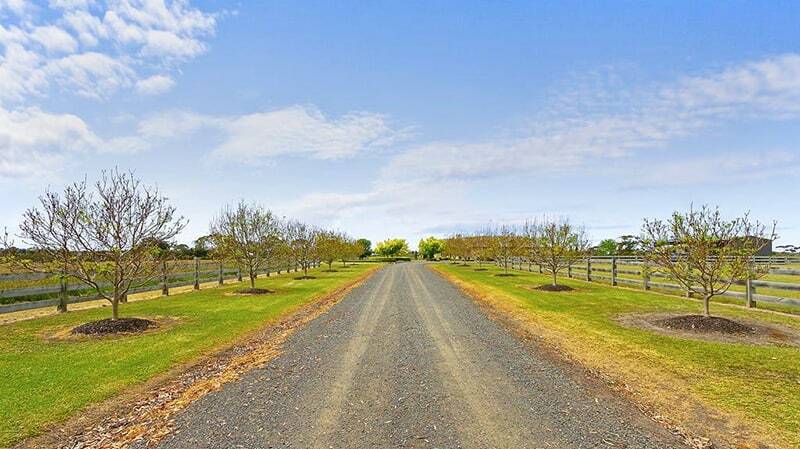 It’s just 11 kms from the Rockhampton CBD, and offers 42 acres of freehold land split into three paddocks of improved pasture with a laneway. 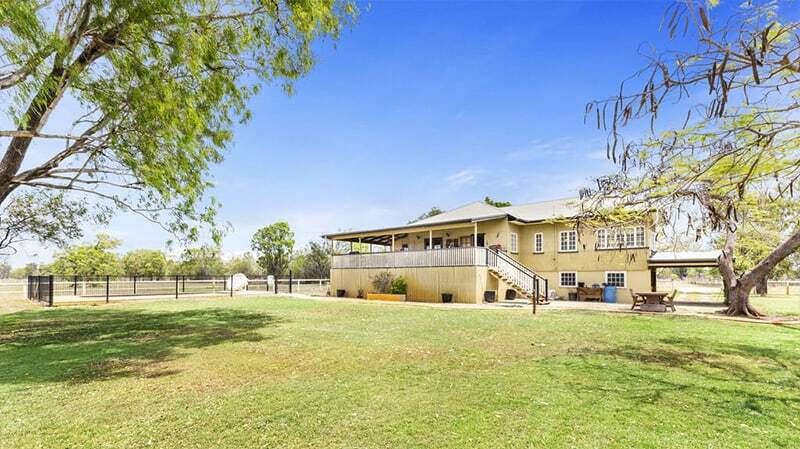 You’ll get eight stables, two used as a feed and tack room, two round yards and a sand arena. There are day yards with loading facilities and a hay shed. The house is elevated, with a covered timber deck overlooking your land. Timber flooring, a country style kitchen, three bedrooms and two bathrooms are on offer, and as a bonus, there’s even an in-ground pool! 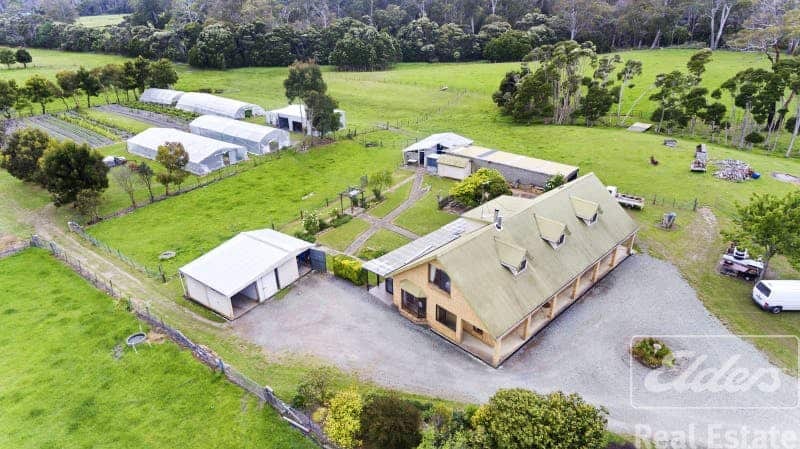 Set in the stunning Tamar Valley 30 minutes from Launceston, “Lynton” is an 8.25ha property with everything you need to be self-sufficient in a range of endeavours. It offers spring-fed water, highly productive soil and established beds and hothouses to produce commercial flowers and vegetables for market. A Dutch barn has commercial kitchen facilities, separate power and septic tank. There’s a large workshop set up for mechanical repairs, and even an old dairy. This five bedroom two level home could accommodate two separate families if you wish, with a kitchenette on the second level as well as a large country kitchen on the ground floor. An upscale Stanley slow combustion stove allows off-grid cooking, and there are large entertaining areas inside and out. 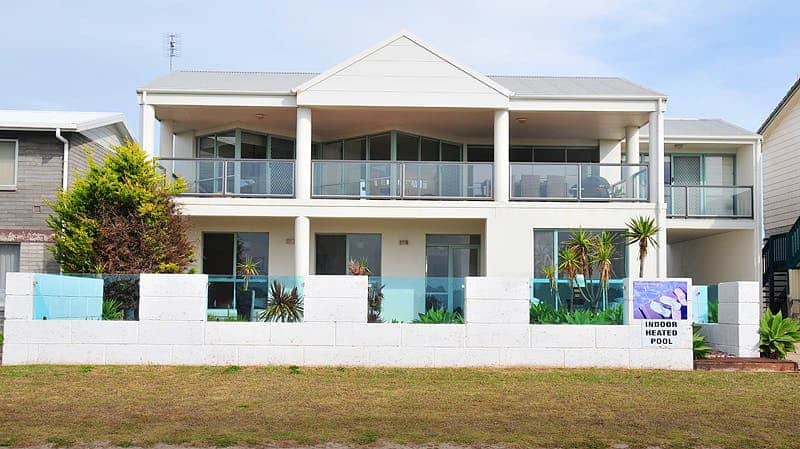 This luxury home on the coast can be used as an indulgent everyday home or used as a holiday rental. Robe is in hot demand as a holiday spot, and this one spares no expense to ensure an incredible experience for you and your guests. A heated indoor pool means you can swim all year round, with glass walls looking out to the gardens. Large entertaining areas inside and out offer panoramic views across Guichen Bay to Baudin Rocks. There are four bedrooms, a luxury kitchen and second kitchenette, an en suite in the master bedroom suite and second large family bathroom.